Stop losing money with dirty solar panels. 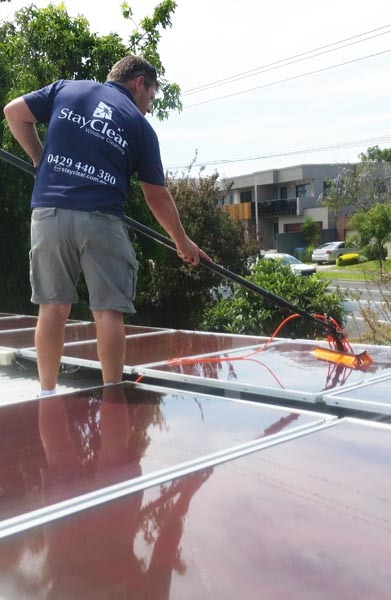 Professional Solar Panel cleaners for Mt Eliza, fully trained, insured, reliable and local. 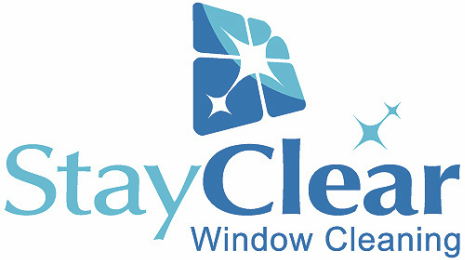 At Stay Clear we pride ourselves on a Job well done and we also fully appreciate you may not be able to check the job once done. That's why we always take photo's of your solar panels both before and after the clean and show you when the job is completed so you can be assured the job has been done and done properly. We are equipped with the very latest pure water cleaning equipment for your solar panels. We don't use aggressive detergents. Our purified water system delivers amazing results time after time. Fully trained, insured and local. Why use anyone else for your Mount Eliza home solar panels? Stop losing money on dirty solar panels. 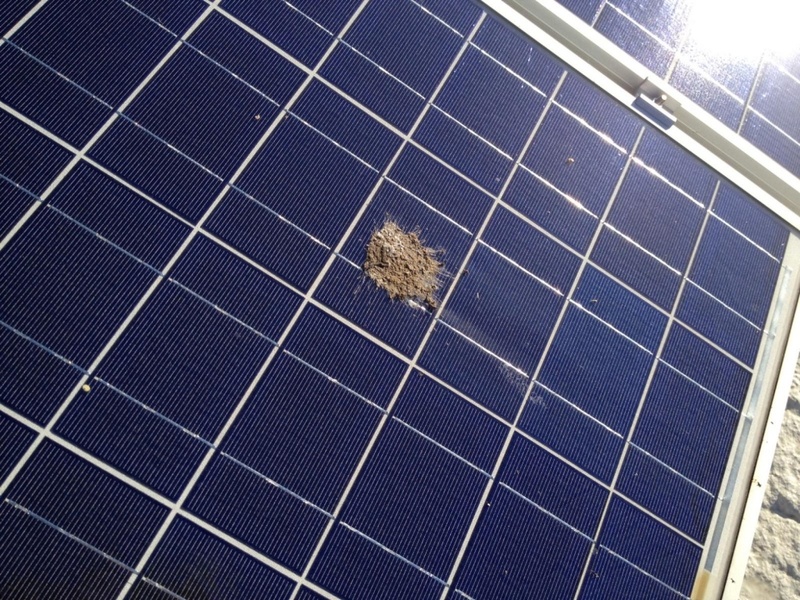 Don't Solar Panels clean themselves? Pollution and general dirt and grime in the air accumulates on the surface of your panels thus reducing their ability to function. What do you clean solar panels with? Our Pure water fed Technology system is highly effective at removing all debris from your solar panels without the need for using any harsh cleaning chemicals. We use 100% Reverse Osmosis treaded water. No soaps or chemicals needed and totally environmentally friendly! 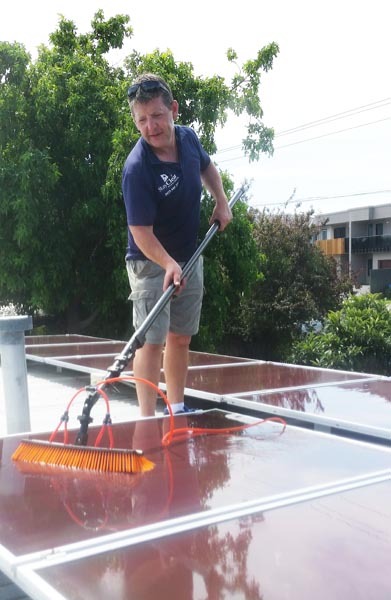 Specialist Solar panel cleaners for Mt Eliza and the entire Mornington Peninsula in Victoria. Rest assured, our prices are always competitive. 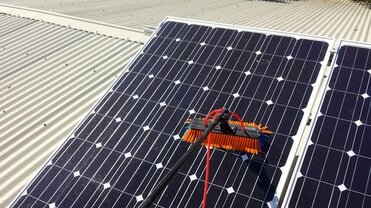 We are happy to give FREE Solar Panel cleaning quotes to homes in Mt Martha and the entire Mornington peninsula.